Do you need to make some extra cash? Looking for some action? Some Adventure? Vampire Hunters is looking for a few good people to join in the Fight against the Forces of Evil while making a competitive wage. Learn valuable job skills like how to identify an undead creature, field strip an M-16 blindfolded, and the proper way to demolish a Vampire Lair without disturbing the neighbours. We offer above market wages and great benefits. We are also looking for people with the right vision to become Vampire Hunters franchisees. Choice sites are available around the country and the world to make a great return on your investment while also making a big difference in the community. 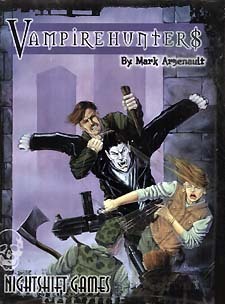 Vampire Hunters is an Equal Opportunity Employer.